Last night, I went to a meet and greet event for the bloggers who were invited to participate in Tabélog’s Food Blogger Awards. 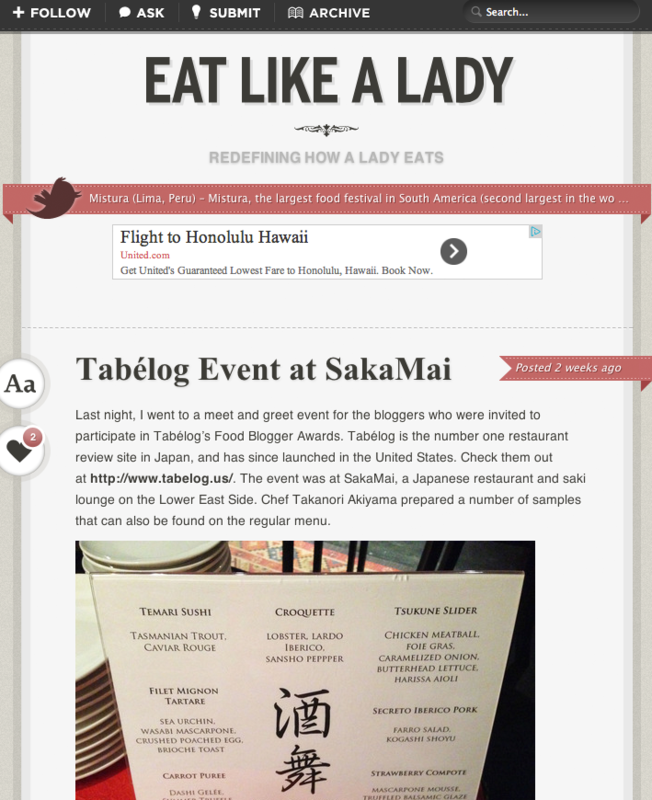 Tabélog is the number one restaurant review site in Japan, and has since launched in the United States. Check them out at http://www.tabelog.us/. The event was at SakaMai, a Japanese restaurant and saki lounge on the Lower East Side. Chef Takanori Akiyama prepared a number of samples that can also be found on the regular menu.